I loved reading this tale. I adore historical paranormal books. Saint Mortain is not one I had heard of before, but he and his Death Maidens certainly intrigued me to keep reading. Isemae is a strong and independent young woman, while it took her a while to realize this for herself it was always in her heart. I look forward to reading Sybella's story. This book has a lovely storyline, and the concept of it is good. However it took me months to finish it, I just couldn't keep my attention focused on it, meanwhile I finished 2 other books. 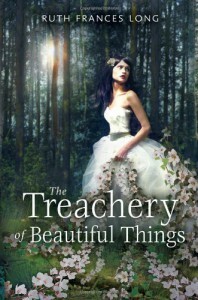 I love retellings of Tatiana and Mab and the faery courts. This concept of the May Queen coming to the Realm to replace the current queen, is great. I just think Jenny Wren is lacking something, something more that Jack would want to fight for, not out of duty but out of love. I did like the book, I followed it to the end. It was just a very long read. I won't reject another book by this author, I would gladly give it a chance. It could be that me and The May Queen just didn't mesh. Oh how I wish I would have read this book so much sooner. And been a part of the loop so much sooner. 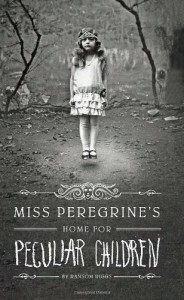 I absolutely adored this book, Ransom Riggs is an amazing writer and goes straight to my ever growing, favorite authors list. There was never a dull moment in this book. While the chapters themselves are very long, this book was over way too soon. 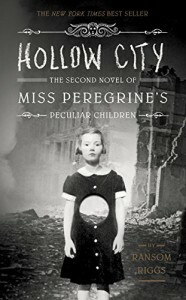 I cannot wait to dig into Hollow City and the adventures of Miss Peregrine and her peculiar children. Get this book you won't regret it! I'm completely addicted to this series, I absolutely love the storyline as well as the amazing way Ransom Riggs tells it. The photos he shares also add to the adventure. Seeing them in a way makes it real. The children's bravery throughout their trials is amazing and tho they are supposed to be the peculiar ones, I almost forget that they aren't the Normals, and get lost in the adventure thru time, Britain and the loops.I can not wait to read Library Of Souls. 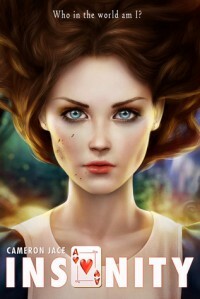 Well I am not only and Alice geek, but a fairy tale geek as well. I really enjoyed this retelling of "Alice's adventures underground " The dialogue between The Pillar and Alice cracked me up. I quoted many things as I read. Can't wait to read the rest of the series. Why does a Sherrilyn Kenyon book never last more than 24 hours in my hands? Because they are freaking amazing... 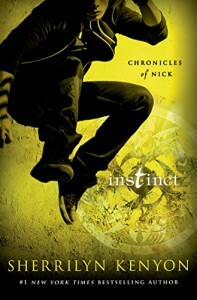 Instinct is no exception! A can't put it,down, must read to the end,asap, book!!! Even sick,you must finish, germs be damned to Hades. There is sooooo very much to be learned about Nick, Ambrose and Cherise in this book... So many things that finally make sense. Nick claims to be the epitome of stupid choices but this book shows you, Artemis isn't exactly right payback isn't ALWAYS a cat. 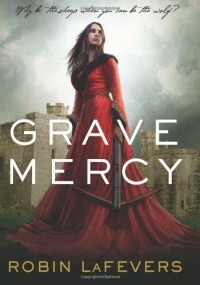 I wish I didn't have to wait an entire year for book 7. Love you much Sherri, another outstanding book! I absolutely enjoyed every story in this book. Some were dark and creepy and reminded me of tales for the dark side or like maybe I stepped into the twilight zone. Then others were my favorites like Hanson and Greta. The 3 lil pigs one the beauty and the beast ones they were all amazing and well fitting for a GrimTale. 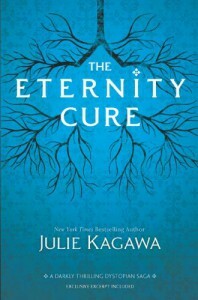 Another great book by Julie Kagawa!!! Allie seem to really grow up in this book. I cant believe the way this book ended. Julie had me balling my eyes out and left me hanging. Luckily The Forever Song is on my bookshelf and I don't have to wait to find out if my theories are correct. This is one of my favorite series. Defiantly worth getting and reading. Absolutely AMAZING!!!! Julie does it again. I'm addicted to this series already. This is one of the coolest dystopian books I've read. 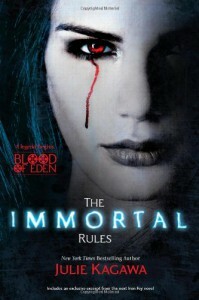 I loved the mix of vampires with the dystopian world. 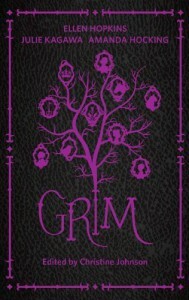 Once you pick up this book you won't want to put it down!! I'm so on the fence about this book. I liked it however it was very confusing to read. It jumps all around with each chapter one chapter Alice is 7 then she's 12 then she's 8 then she's 7 again and then she's 9 back to 7 or 8 then 11. None of the chapters go together. My assumption is it's meant to be this way and if you read book #1 before you read the prequel then it makes sense. 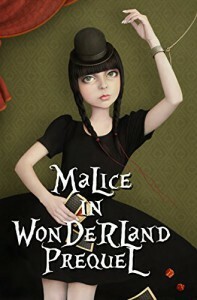 I am still very interested in reading book 1 "Malice in Wonderland: Alice the Assassin." And then all the information given in this book, which was great, will all fall into place.